Click on join send an email with your age/the age of your child and we will order the glove with the right size. Or go to the page MHKCOMMENTS and leave a comment below the Hockey Equipment you would like to buy. 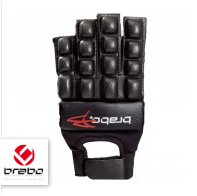 Click on join now send an email with your age/the age of your child and we will order the glove with the right size. ​Or go to the page MHKCOMMENTS and leave a comment below the Hockey Equipment you would like to buy. Click on join now send an email with your age/the age of your child and we will order the mouth protector with the right size. ​Or go to the page MHKCOMMENTS and leave a comment below the Hockey Equipment you would like to buy. Click on join now send an email with your age/the age of your child and we will order the street hockey ball. ​Or go to the page MHKCOMMENTS and leave a comment below the Hockey Equipment you would like to buy. Click on join now send an email with your age/the age of your child and we will order the field hockey ball. Or go to the page MHKCOMMENTS and leave a comment below the Hockey Equipment you would like to buy.